(SPOT.ph) Who says you need to wait for a special occasion to feast on lechon? At The Lechon Shop, you can have lechon any time you want with their per-kilo servings. Seasoned with a special blend of garlic, oregano, basil, rosemary, thyme, and more, and with skin that's oh-so-crispy, their roast pig will make your meal feel like a fiesta. In the mood for something extra rich? 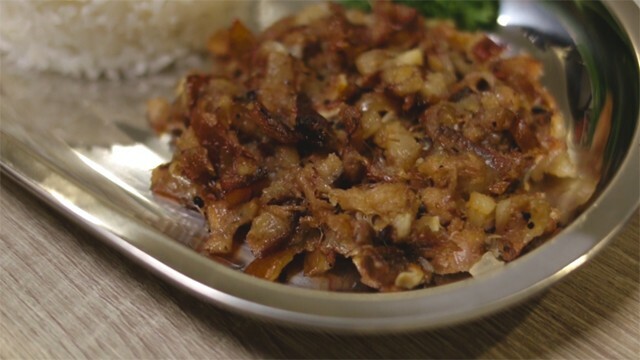 Have the Lechon Sisig, which uses chopped lechon bits cooked in the creamier Kapampangan style. Savory and perfect over rice, this could become your new lunch addiction—don't worry, we won't tell your doctor.